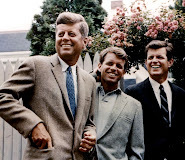 Justice For Kennedy: Dr. Wecht to speak at DeSales University today at 7:00 p.m.
Dr. Wecht to speak at DeSales University today at 7:00 p.m. 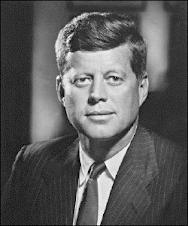 This year marks the 50th anniversary of President John F. Kennedy's assassination, and the man best known for his criticism of the Warren Commission's findings on the 1963 shooting is slated to speak this week in the Lehigh Valley. Renowned forensic pathologist Cyril Wecht will be in the region Tuesday for a lecture at DeSales University in Upper Saucon Township. The 7 p.m. lecture is free and open to the public. 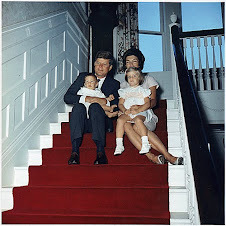 "Everybody that has anything to say about the Kennedy assassination knows Dr. Wecht," said DeSales professor of forensic psychology Katherine Ramsland, who met him about 10 years ago through her work with the Cyril H. Wecht Institute of Forensic Science and Law at Duquesne University in Pittsburgh. The talk will be held in the Commonwealth and Hurd rooms of the DeSales University Center on the school's 2755 Station Ave. campus. Wecht, 82, has performed more than 18,000 autopsies in a career that's spanned six decades, Ramsland said. He is in high demand this year because of the anniversary, she said, adding, "We were very lucky to get him." 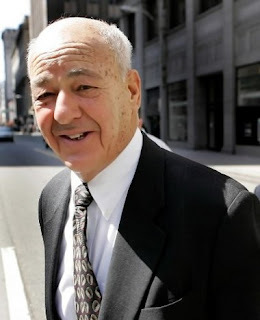 The Kennedy assassination is not the only high-profile case to which Wecht is linked. He's also helped investigate the deaths of Elvis Presley, JonBenet Ramsey and Anna Nicole Smith, among others. Wecht says forensic science doesn't support the Warren Commission theory, penned by then Philadelphia Assistant District Attorney Arlen Specter, that a single bullet caused all of Texas Gov. 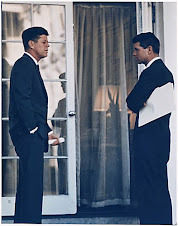 John Connally's wounds and Kennedy's nonfatal wounds. His assertion that the the single-bullet theory is flawed lends credence to claims that Kennedy assassin Lee Harvey Oswald did not work alone. "He raises the idea that there's some kind of government cover-up," Ramsland said. "It's quite controversial." Wecht, a former Allegheny County coroner, worked as a technical consultant for the Oliver Stone film "JFK", which is based on a Louisiana prosecutor's investigation of the Kennedy assassination. During a courtroom scene in the 1991 movie, the prosecutor, played by Kevin Costner, lambastes Specter's single-bullet theory, calling it "one of the grossest lies ever forced on the American people." Wecht, in a 2003 Pittsburgh Post-Gazette, profile, "proudly noted that he was directly responsible for the courtroom scene." Next month, Duquesne is hosting the Wecht Institute's 13th annual conference, which will serve as an international symposium on the Kennedy assassination. "He brings together all the major players, essentially, in the various theories about the assassination. There are a lot of people who believe the lone assassin notion ... and a lot of people who don't," Ramsland said. "It's the great American mystery."